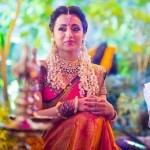 Festive and wedding season is here and many of us plan dresses, makeup and hairstyle way before. 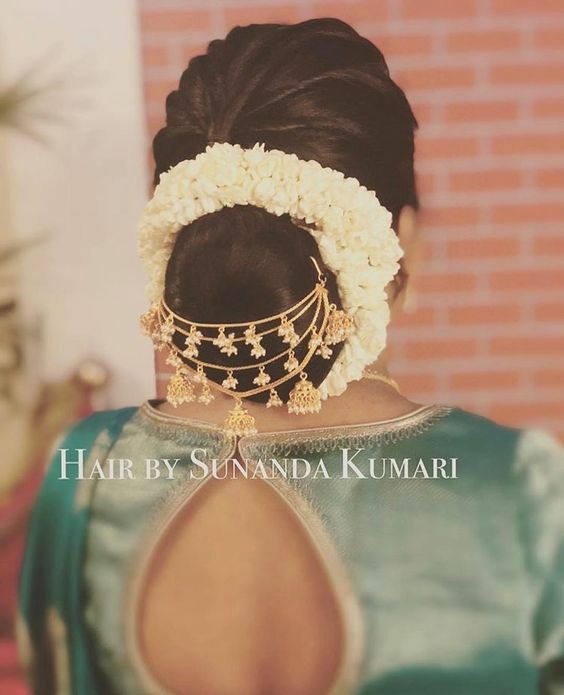 For the ones who are thinking on getting bun’s done for their hairstyle, here are few ways how you can accessorize them to make them look more classy, elegant and pretty. 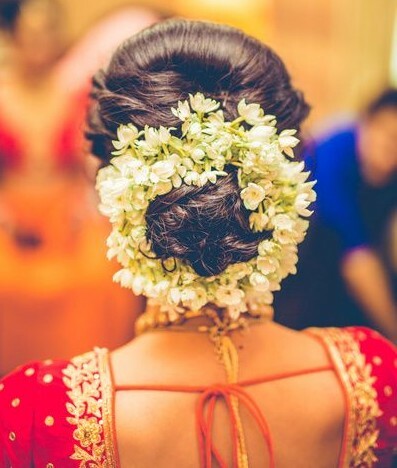 Simple Gajra– It is one of the most widely used hair accessory which never fails to impress. 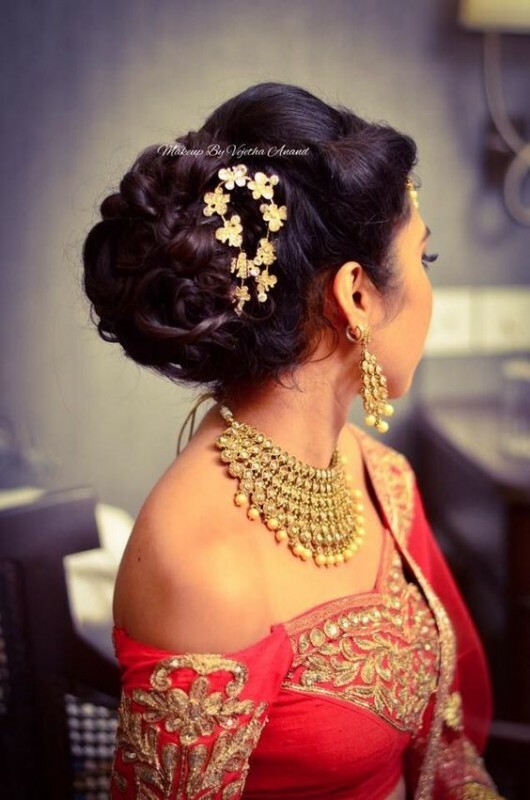 When in doubt just wrap a gajra around your bun. 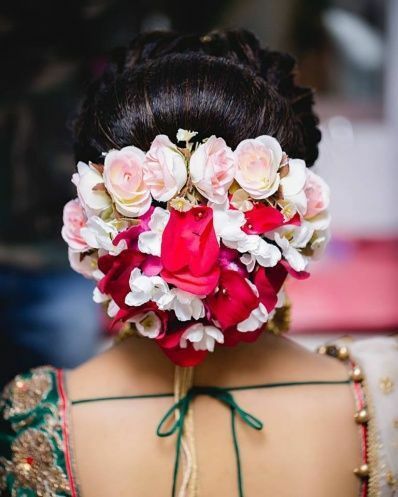 Whole flowers– Using whole flowers instead of the buds is in trend nowadays and it also covers the whole bun. One can use flowers in single color but it looks best when done in two or three shades. 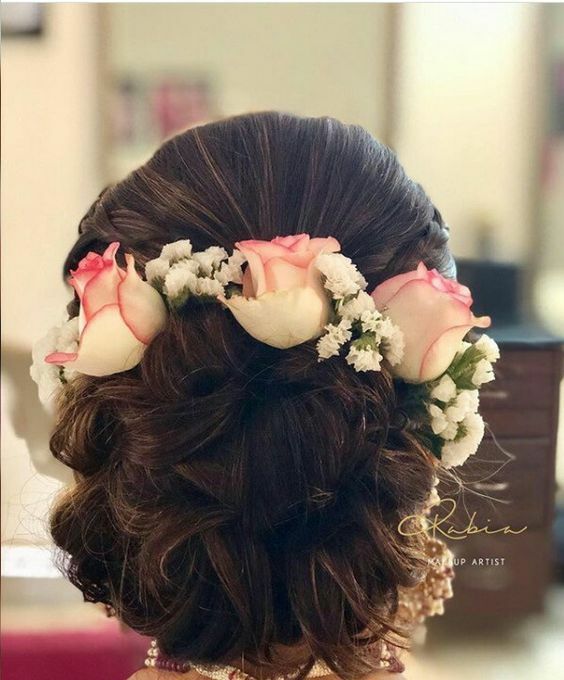 Floral highlights-Instead of covering the bun fully, you can also go in for floral highlights like this, covering just the top part with real flowers. 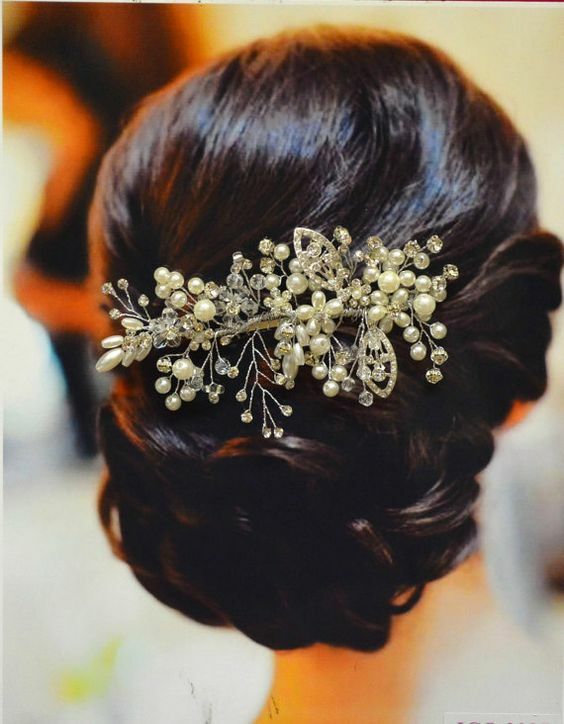 Side pin– A decorative hair pin can be used to highlight one side of the bun for an abstract look. Jura pins– Decorative jura pins are available in market easily, and can be used to highlight a simple jura like this. 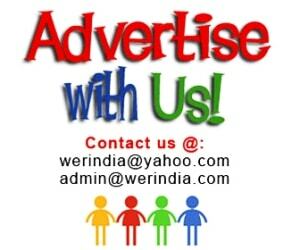 You can match their designs according to the color and design of your garment, or can simply go for the metallic shades like gold and silver. 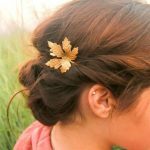 Hair comb– Decorative hair combs are perfect to accessorize jura or bun designs. You can either use it on the side of the jura or place it just above the bun for the full coverage. 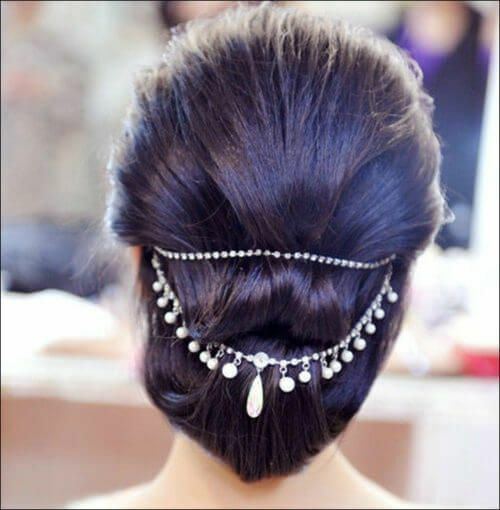 Hair jhumars-It is one of the best hair accessory which goes well with open and bun styles both. 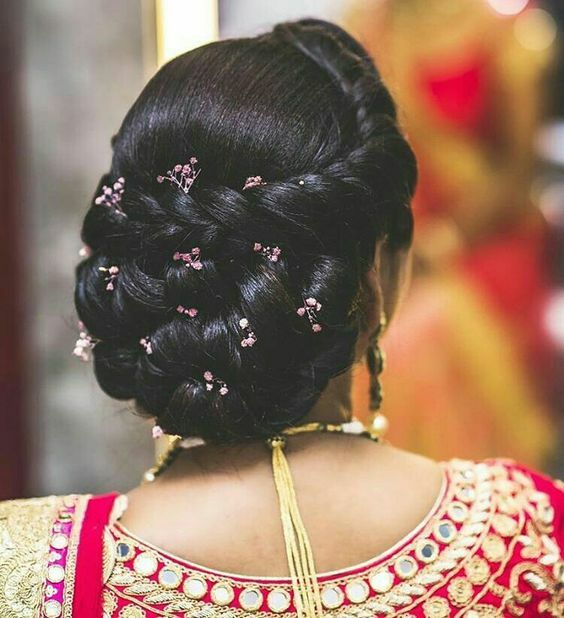 Use it on the center of the bun and use a gajra to give a finished look at the end. 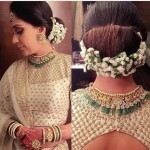 Use necklace-If you have a delicate necklace at home, then you can put it to use by using it over your bun like this.